Did you know you can donate platelets every TEN days? We rarely single out our regular platelet donors for spending so much of their time with us, and this month, we’re celebrating with a special partnership just for those who give us such a commitment! Introducing: Platelet Step Up Rewards! 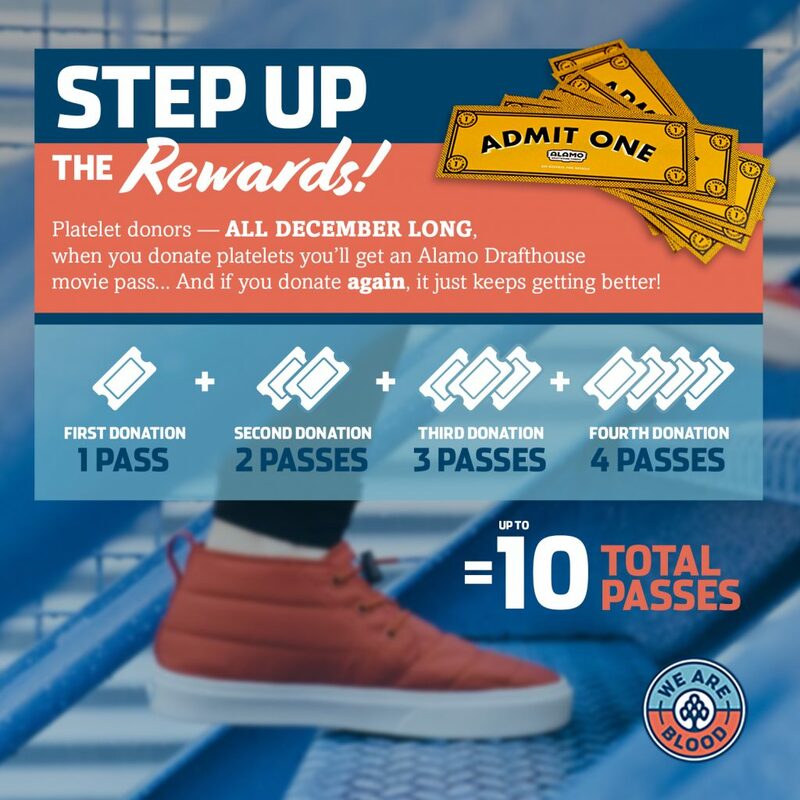 We’ve partnered with the Alamo Drafthouse to offer something extra special to our platelet donors throughout the month of December 2018. If you come in to donate platelets in December, you’ll receive a pass to see a movie at your favorite neighborhood movie theater. 🎉 But wait, there’s more! If you come in TWICE to donate platelets in December, you’ll get TWO additional passes. And … aren’t there 31 days in December? SURE ARE! If you come in to donate platelets three times in December, you’ll get an additional three passes! 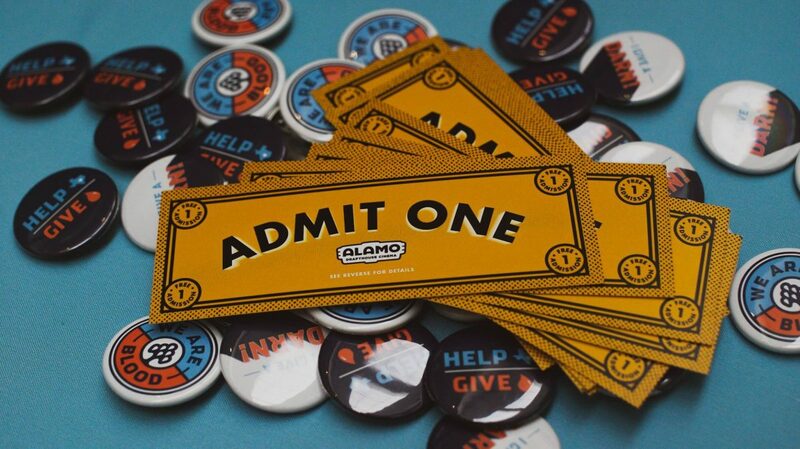 That’s up to SIX total passes to movies at Alamo! Click here to schedule your next platelet donation!